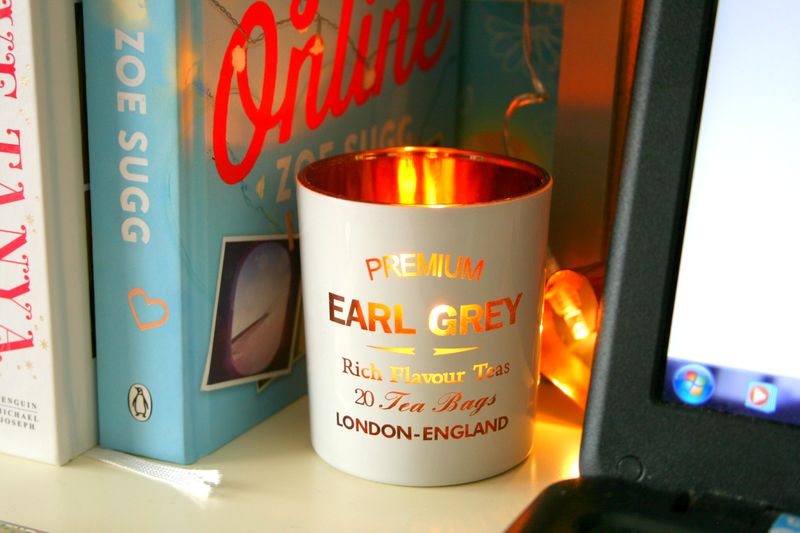 I picked up a Salted Caramel candle which smells divine I must add for just €3.00 I adore having candles lighting especially in the evening when I'm mostly writing up posts or ideas. On the same candle note I picked up a gorgeous Earl Grey Tea Tealight Holder for also just €3.00 I adore the contrast of the white and rose golden paint on the inside. The letters are also see through so you can either see the flame flickering while your tealight is burning or you can see the rose gold colour shining through when your candle isn't burning. I mentioned above that I'm more likely to type up blog posts or plan them in the evening time so I had to pick up a set of Rose Golden Heart Fairy Lights for just €6.00 and I am absolutely in love with them especially when it's dark as they just give such a cosy glow of light! I currently have them draped over my notice board so they just give the most perfect amount of light as sometimes I find my actual bedroom light way too bright some evenings. I also decided to go onto Asos as I knew they offered next day delivery so I wanted to see if they had anything I liked, as soon as I seen the Roe Deer Jewellery Dish €6.85 I just knew I had to get it as I had been after one for the longest time. I am so in love with this little dish it's just the perfect size to hold my everyday jewellery! Finally I picked up the Anatomicals Oi! You Throbhead Headache Relief Balm €5.48 as I find once I sit at my laptop for hours I'm bound to at least get one or two headaches throughout the evening so I thought this would be a great thing to have on my desk! The last two things I picked up was a Disney Princess Pencil Case €2.00 as it's just way more tidy to keep my pens and pencils etc in instead of using a mug. Finally I had a euro left so I picked up a Shapers Strawberry Nougat bar for when I get peckish and you can bet yourself that I kept this until I had taken my photos! Finally my total was €27.33. Taking into consideration the pounds to euro rate when I done this was €27.53 and so I had 20 cents remaining! 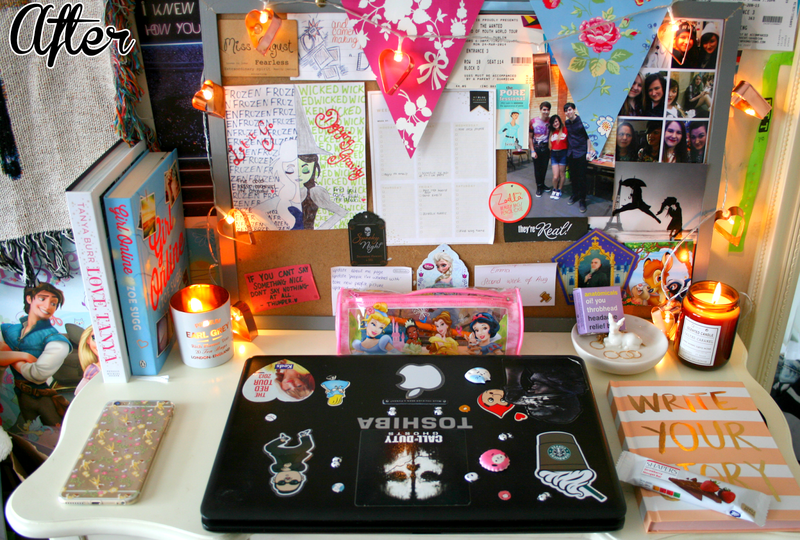 My desk didn't change a whole lot but I do feel like it's a lot less cluttered now and I do love sitting down to write with the candles lighting and the fairy lights twinkling! 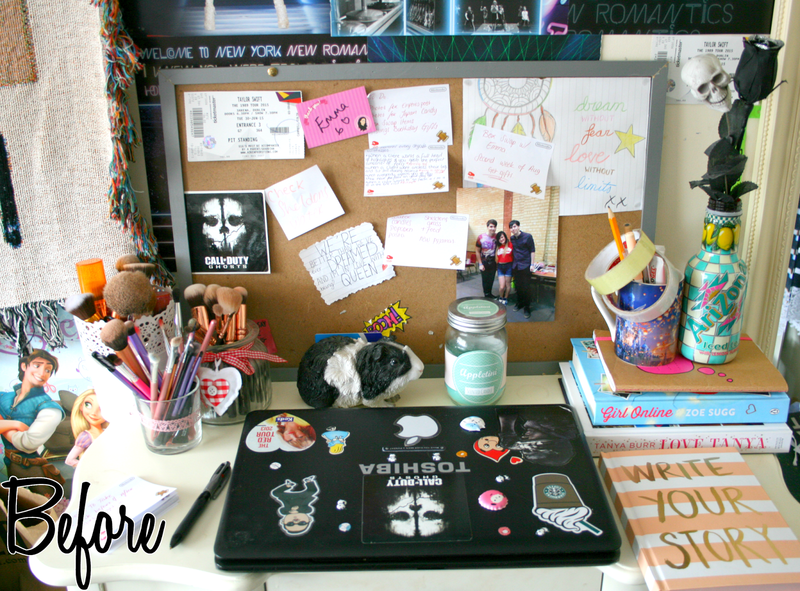 Do you think you could makeover your desk for £20? 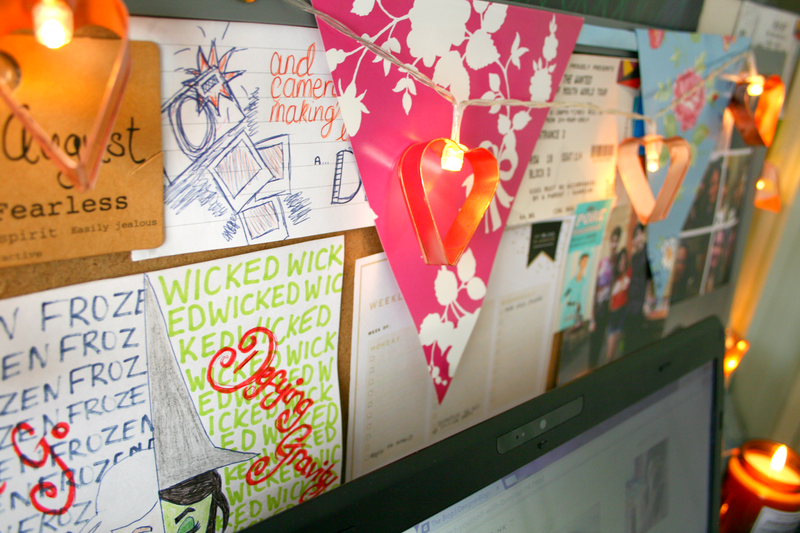 I love how your desk turned out, I'm definitely going to have to check out Primark's homeware section. 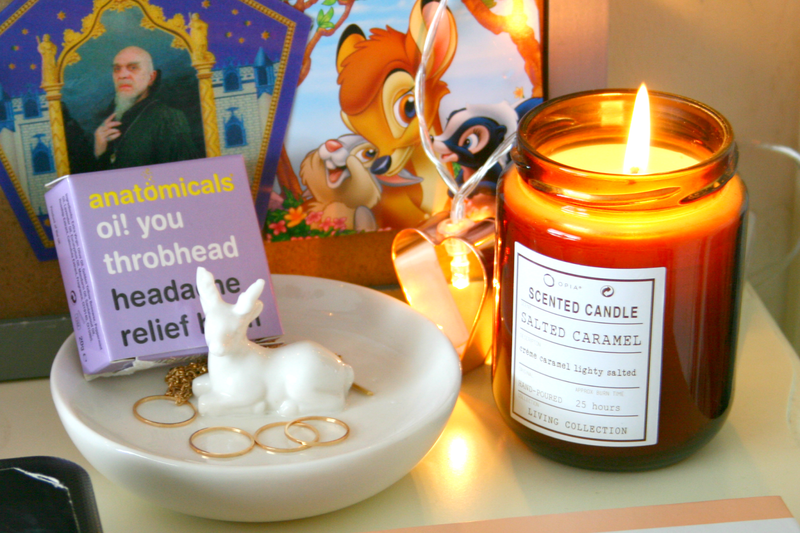 I really want to get myself that salted caramel candle! 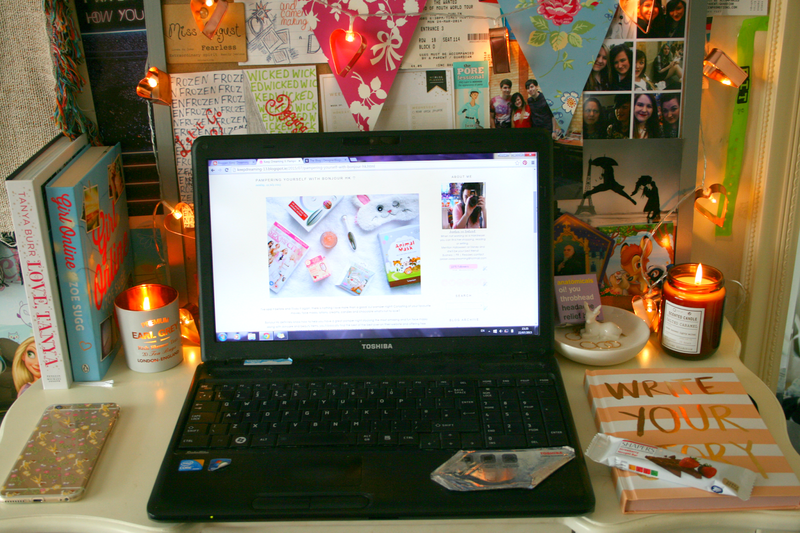 Your desk looks so beautiful! You've inspired me to tidy mine!